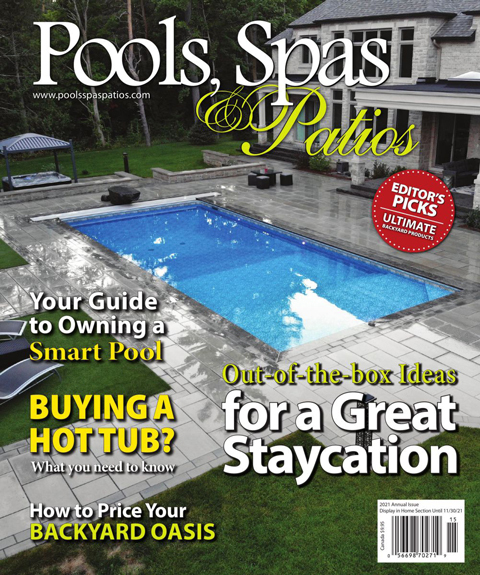 Pools, Spas & Patios is the only Canadian magazine targeted to the backyard leisure market. Annually, we showcase the latest in pool and spa design and offer tips on everything from maintenance to safety. Pools, Spas & Patios encourages readers to relax, retreat and rejuvenate through the creation of a backyard oasis that not only reflects their own personal style, but embraces the age-old adage that water is soothing to the soul.